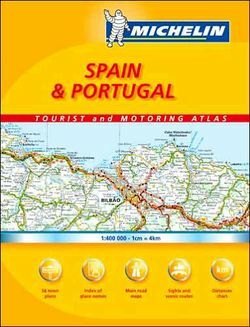 Road Atlas of Spain and Portugal. Full of detail including major & smaller roads, scenic routes, many place names, shaded relief, points of interest and more! 223 pages including an index and a section of city maps.